Get Lei’d for Kenny is a Hawaiian themed event that pays tribute to our military and is in memory of Army Sergeant Kenny Schall who died in Iraq in 2005 at the age of 22. The day consists of live music, good food, cold beer, good company, and a great cause. Be sure to click “going” on this event page so you can stay updated on what is happening at this year’s event. TO REGISTER: Go to www.Shop493.com click on “Events” then “Get Lei’d for Kenny Preorder” and order a Get Lei’d for Kenny shirt for everyone that is going. Shirts will not ship until late September so keep that in mind when you enter your mailing address. WEARING YOUR SHIRT IS YOUR TICKET IN THE DOOR. Last year the event sold out, so order your shirt ASAP so you’re not left outside!!! The 2018 United Phoenix Firefighters Ball is set for November 3, 2018 at the Arizona Grand Resort & Spa. We are excited to announce that this year’s event will again be hosted by John Holmberg of Holmberg’s Morning Sickness on 98 KUPD! 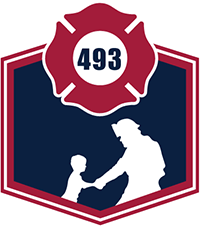 We are grateful that longtime friend and supporter of United Phoenix Firefighters Charities; For Those Without A Voice has signed on again to be our 4th Alarm Sponsor! The 29th Annual Gary Pykare Bass Tournament will be held in April 2019 (dates TBD) at Roosevelt Lake. The event is in memory of Phoenix Fire Captain Gary Pykare who passed away on May 12, 1996 from cancer caused by our profession. Gary was loved member of our department famous for reminding us to “live your interview” and be the employee you promised you would be, Gary is truly missed. Event participants enjoy fishing, camping, dinner, and fellowship over the three day event with all proceeds to benefit the Pykare Cancer Fund to help Firefighters with Cancer. When dates are announced you can register for Tournament at www.shop493.com . MUST have at least 1 firefighter on your fishing team. The United Phoenix Fire Fighter Association holds Babysitter Certification classes at local community centers throughout the valley. Classes can also be arranged for Girl Scout Troops or large groups at different locations if desired. This class is geared toward youths starting and the age of 10 and up. The students will learn the ins and outs of babysitting along with CPR, what to do in choking emergencies and 1st aid training. Our goal is to not only help babysitters keep the children they watch safe, but to keep themselves safe as well. Please contact us at babysitter@local493.org with questions or for more information on registering or setting up a class. The United Phoenix Fire Fighters Charities offers training in American Heart Association CPR/AED and First Aid classes. All classes are open the community and there is no pre-registration. Class participants will receive an American Heart Association Card at the end of training. The fee for the class is $40.00 per person. CPR/AED and CPR/First Aid Courses – Held the 2nd and 4th Wednesday of every month at 5 pm. . Washington Activity Center located at 2240 W Citrus Way, 23rd Avenue just north of Bethany Home Road. No courses held on major holidays and the week of Thanksgiving, Christmas and New Year’s. We also offer classes to groups of 8 or more held at your location. For more information please call our office at 602-277-1500 and ask for Kenny Nixon or email at knixon@Local493.org. Please allow 24 hours for a return call or email.